With the series tied 1-1, the NBA Playoff action moves to the Barclays Center in Brooklyn, New York, for Game 3. Philadelphia's controversial strategy, referred to as "The Process" (tanking multiple years in the hopes of acquiring multiple high drafts picks), finally started paying dividends in the 2017-18 season. 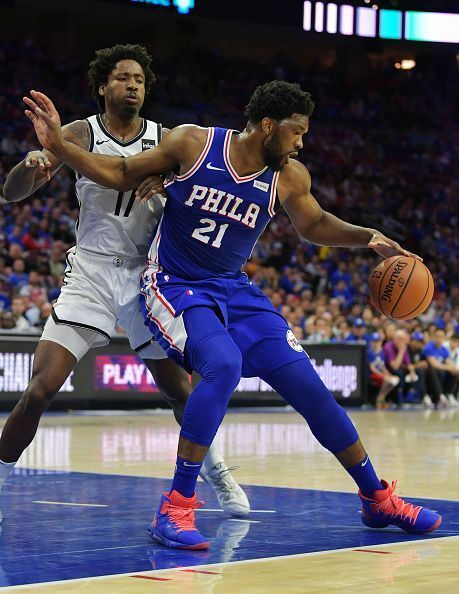 Led by Cameroonian big man Joel Embiid and Australian point guard Ben Simmons the Sixers won 52 games and made it to the playoffs for the first time in six years. 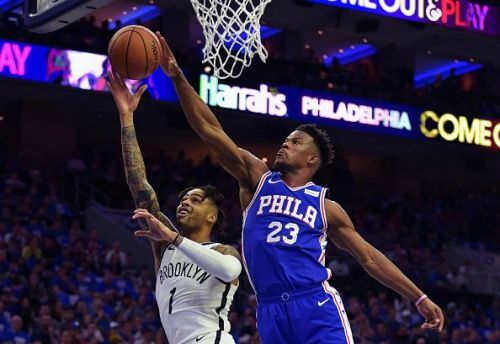 After trading for two star players in Jimmy Butler and Tobias Harris, Philly is definitely in a 'win-now' mode and will see themselves making it to the NBA finals. Anything less than the Conference Finals would be considered a failure. The Brooklyn Nets, on the other hand, are a team of misfits with no established stars on their roster. After early season success, courtesy Caris LaVert - who injured himself in November, it was D'Angelo Russell who emerged as an All-Star and led the team to the sixth seed in the East. By simply making the playoffs, the Nets have already exceeded expectations. 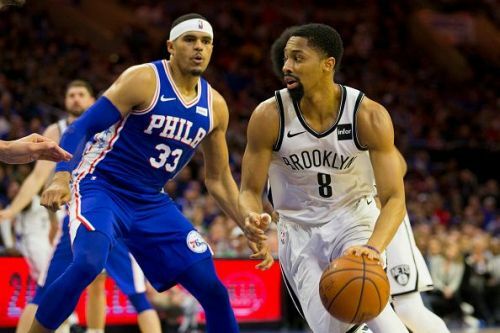 With nothing to lose Brooklyn came out all guns blazing in game one and convincingly beat Philly on their home court led by strong scoring off the bench and a 26-point performance from Russell. With the exception of Jimmy Butler, who erupted for 36 points, the entire Philly roster struggled to get going. Embiid's participation was not a certainty until literally 10 minutes before the game. Despite putting up respectable numbers of 22 points and 15 rebounds, the left knee injury that had kept him out of five of seven final regular season games was obviously still bothering him as he looked far from 100 percent and was on restricted minutes. The team as a whole was terrible from the 3-point line going 3-25 compared to 11-26 by the Nets and they were never really in the game. The vociferous Philadelphia crowd made their displeasure evident, booing their own team's performance after three of the starters couldn't even get into double digits. Had the Sixers lost the second game, it would have been hard for their talented starting lineup - who've only played eight games together in the regular season - to bounce back from the deficit going into opposition territory. They were aware of this and put up a much-improved performance. The Nets still outshot them from the 3-point line but it was points in the paint and rebounds that turned the game in favor of the Sixers. They took charge of the game in the third quarter, going on 14-0 run on their way to equaling the playoff record of 51 points in a quarter. Tobias Harris and JJ Redick, ineffective in game one, came back strong with 19 and 17 points, respectively. Ben Simmons after being booed in the previous game, led the team recording his second career playoff triple-double. Late in the game, he cupped his ear toward the crowd to hear them cheer in a move reminiscent of Philly legend Allen Iverson. Embiid, who was still on restricted minutes, looked much more comfortable on court and put up another double-double. Philly lineup: Tobias Harris(F), Jimmy Butler(F), Joel Embiid(C), Ben Simmons(PG), and JJ Redick(SG). Embiid(knee) was a game-time decision in both games and is likely to be the same for game 3. Nets lineup: DeMarre Carroll(F), Rodions Kurucs(F), Jarrett Allen(C), DeAngelo Russell(PG), and Joe Harris(SG). The availability of hard-nosed defender Jared Dudley who missed game 2 with a calf strain after a great game 1 is still uncertain. After steamrolling the Nets in game two, the Sixers will look to continue their dominance and notch up an away victory. With the Nets bringing postseason basketball back to New York City for the first time in four years, the atmosphere inside the Barclays Center will be electrifying and Brooklyn will look to ride that wave and defend home court. With Philly's vastly superior starting five all in the points by game two, they will likely prevail in what will be a closely-contested match-up. 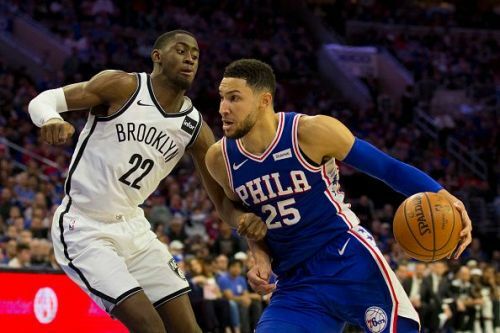 Simmons needs to pick up where he left off and continue to be aggressive while Embiid, who committed a hard flagrant foul on center Jarrett Allen and later broke out laughing while apologizing for it, should be wary of the tight-knit Nets team looking for some retribution.